By AjeetSinghPunjabi, June 10, 2018 in WHAT'S HAPPENING? But he is probably ones of those half hindu half sikh people you get in India. that has mata photos and does pooja ect. LOL . Big tidh is only a sign of being a lazy &lt;banned word filter activated&gt;. ﻿ But he is probably ones of those half hindu half sikh people you get in India. that has mata photos and does pooja ect. How anyone can take those spindly legged baggy short high waisted buffoons is beyind me..
Im against FAT acceptance, being FAT is not normal neither natural. These days SJW and feminists and all the snowflakes out there are trying make FAT more acceptable and normal, they are brainwashing people into accepting FAT. 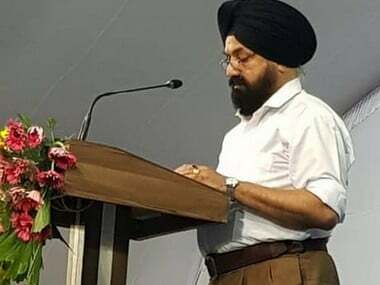 A lot of the Sikhs in Indian politics and media do a lot of Hindu stuff, Iv seen pics of cpt Amrinder Singh with a tilak and Navjot Singh Sidhu getting pooja done at his house. Daler mehndi is another one lol!